After Daughter Is Taken, Mother Rams Abduction Suspect's Car [Updated] : The Two-Way Police in Albuquerque, N.M., are interviewing a man they say is a "person of interest" in the abduction of a five-year-old girl. After the girl was taken Wednesday evening, her mother chased down and rammed the car she had been in; a suspect fled on foot. The girl is reportedly safe. Police in Albuquerque say they want to question David Jesus Hernandez, 31, about the brief abduction of a little girl Wednesday. Police in Albuquerque, N.M., are interviewing a man they say is a "person of interest" in the abduction of a five-year-old girl. After the girl was taken Wednesday evening, her mother chased down and rammed the car she had been in; a suspect fled on foot. Authorities say the girl is safe; she was pushed out of the car shortly after being taken. 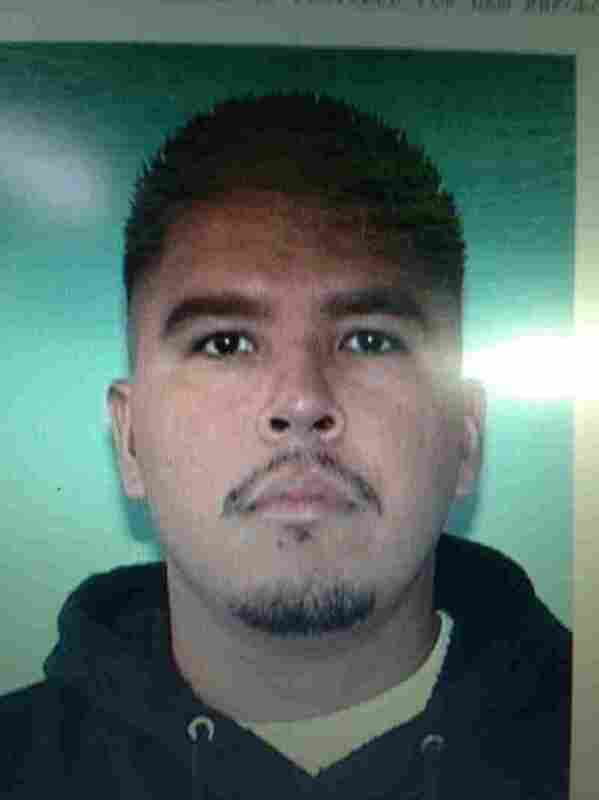 Police have found David Jesus Hernandez, whom they identified Thursday as a person of interest in Wednesday night's kidnapping, and detectives are speaking with him. City police announced the development on Twitter. Albuquerque Police Department officials say they want to question David Jesus Hernandez, 31, in connection to the brief kidnapping. They are asking for the public's help in finding him. The police also added more details to Wednesday night's foiled abduction, saying, "A group of teenagers in the apartment complex saw the kidnapping and ran into the victim's home to tell the mother that her child had just been taken. Family called 911 and the mother ran to her vehicle and gave chase to the suspect" who was driving a Buick. The police release also gives the girl's age as 4; previous reports uniformly identified her as being 5. The dramatic events unfolded in quick succession after 6 p.m. local time Wednesday, after the girl was taken while she was playing outside her apartment, according to Albuquerque's KRQE TV. "Witnesses saw the man force the girl into his car, gave the mom a description, and the chase was on," KRQE reports. "The pursuit went into the North Valley and on and off Interstate 40 to Central Avenue and the Southeast Heights, police said. Roughly seven miles from abduction the mother crashed into the man's car at Kathryn and Ortiz Drive." During the chase, the girl's mother spoke with police on her cellphone. At the time, she was apparently not aware that her daughter had been put out of the car less than half a block from where she'd been taken, according to The Albuquerque Journal. "Albuquerque police Chief Ray Schultz said neighbors began yelling, which is what made the suspect push the child out of his car," reports KOAT TV. Fleeing from the girl's mother on Interstate 40, the suspect "tried to fake an exit on Carlisle Boulevard," the newspaper reports, citing police spokesman Robert Gibbs. After they left the interstate, the mother succeeded in stopping the man's car in southeast Albuquerque. "'She essentially pitted him,' Gibbs said, referring to a police maneuver that involves ramming a car to stop a chase," The Journal reports. The man fled the scene on foot, prompting police to conduct a search that locked down at least 20 city blocks in the surrounding neighborhood. The manhunt continued into the night, with police deploying a helicopter with heat-sensing cameras, reports KOB TV. But the suspect remains at large Thursday. Neither the mother nor her daughter were injured in the incident, according to reports. A six-year-old girl was abducted from the same apartment complex last week, KRQE says. The suspect in Wednesday's attempted abduction matches descriptions of the man in that case, in which the girl was able to escape after a sexual assault. Police say they believe the suspect is a stranger to the families of the girls who were abducted.